LUMC is located centrally in the Leiden Bioscience Park and is one of the largest employers in the region. Due to its three main tasks namely healthcare, education and research, well connected with regional institutes which are listed below. Leiden University is an important partner for both research and education, but also for the combined LUMC-LU knowledge development and technology transfer office. Besides the historic reasons (the Faculty of Medicine of Leiden University and the Academic Hospital Leiden merged to shape the LUMC in 1996), collaboration between LUMC and the faculties of the Leiden University is of great importance. LUMC-Campus The Hague is a collaboration between LUMC, the STZ-hospitals: HMC-Bronovo, Haga-Ziekenhuis, the University of Leiden and the municipality of The Hague. With this collaboration the partners want to add additional impact on innovative healthcare and education, medical education and patient related research in the The Hague area. The Leiden Bio Science Park is the largest life sciences cluster in the Netherlands. Drug development companies in all phases of the value chain are located on its premises, as well as top academic R&D institutes of Leiden University and LUMC. The park is dedicated to early drug development, the development of advanced therapies and personalized medicine in combination with diagnostics. Leiden Bio Science Park also hosts medtech companies, companies providing services in drug development and companies delivering dedicated business services. Furthermore, the park features high tech companies working in the field of industrial biotech, green biotech, space, water management and research equipment. Lastly there is a wide range of institutions that provide life science education in the park, from a vocational to an academic level. The park is also home to two world-class museums dedicated to life sciences: Naturalis Biodiversity Center and CORPUS Experience. Currently around ninety dedicated medical life sciences companies and institutions are located on the park. 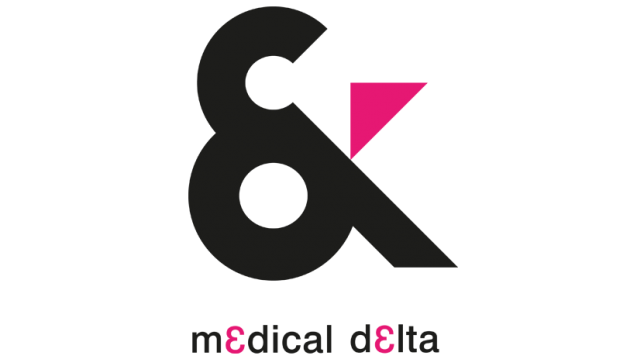 Medical Delta is a research driven life sciences and medical technology cluster situated in the province South-Holland (in the west of the Netherlands) and encompasses the area from Rotterdam, Delft and up to Leiden. The Medical Delta region contains a remarkable and unique concentration of healthcare centres, technological and scientific expertise and the largest cluster of life sciences companies of the Netherlands. Approximately five hundred companies are active in life sciences and medical technology of which ninety are concentrated at the Leiden Bio Science Park (see regional collaboration number 3). The region has a high concentration of life science education and research and one of the best-educated labour forces in Europe. The Medical Delta institutes (LUMC, Leiden University, Erasmus University Rotterdam, Erasmus Medical Center, Delft Technical University) fuel many joint professorships and joint educational programs at BSc-PhD level in life sciences, biomechanical engineering, molecular sciences, entrepreneurship etc. Local incubators are in close proximity to the universities and medical centres to host the life sciences and medical technology related start-ups within the best possible environment. LUMC is a partner of Innovation Quarter (IQ), which is the regional development agency for the province of South Holland, The Netherlands. Currently thirty-three partners, ranging from local and national government to knowledge institutes, banks and incubators are members of IQ. Innovation Quarter finances innovative fast growing companies, assist foreign companies in establishing a local office in South Holland and fosters collaboration between businesses, knowledge institutes and the local and national government. Aim is to develop South Holland into one of the most innovative regions of Europe. The Economic Agenda Leiden Region is a collaboration of six local authority districts, business associations and educational and knowledge institutions from the Leiden region. In total 14 partners are part of Economy071. Program Bureau Economie071 has been tasked with realization / execution of the agenda. Implementing the agenda will strengthen the economic structure, innovation push and business climate of the region, leading to an even better position for the Leiden region both nationally and internationally. This will benefit investment in the Leiden region by creating more work for existing businesses and generating new jobs. Research being performed within Economie071 is related to ‘life sciences & health’, vitality, entrepreneurship and innovation. The EBZ, the Economic Board Zuid-Holland (region South Holland in the Netherlands), is a high-level council that brings together knowledge institutions, industry and government. Based on this ‘triple helix’ concept and by combining a wide range of expertise, insights, administrative know-how and networking potential, this ‘board of boards’ aims to develop strategic initiatives that are designed to strengthen the economy and achieve the region’s economic objectives. Holland Particle Therapy Center (HPTC) is the independent clinic and research centre in which TU Delft, Leiden University Medical Centre and Erasmus Medical Centre collaborate in providing excellent care and ground breaking research in the field of proton therapy. As of August 2017 HPTC will be treating complex oncology patients and has the ambition to be one of the world-wide leading Institutes in this field. Foreign knowledge workers and expats will be able to use the regional Expat Centre for addressing their questions, local government registrations and referrals for schools and clubs. For businesses and local councils it will be a knowledge centre where they can keep up to date about new trends and developments or coordinate various matters. The Expat Centre is an initiative of Economie071, in which LUMC participates. The Biotech Training Facility (a collaboration of LUMC, Leiden University and the municipality of Leiden) is a unique state-of-the-art training centre located on the Leiden Bio Science Park where you can learn how to produce (bio)pharmaceuticals, under Good Manufacturing Practice (GMP) and biosafety conditions, in a realistic environment. It’s the first training centre of its kind in the Netherlands. Examples of courses are the ‘from lab table to clinic-GMP in Biopharmaceutical Development’ and ‘Internal & external GMP audits’. GenomeScan is a young enterprise that delivers top-quality genetic tests and originated from the long and intensive collaboration between LUMC and ServiceXS B.V.
With the ISO 17025 accreditation in 2011, Genomescan proved to aim for the highest quality possible. Sequencing and array projects are still performed under the brand name ServiceXS. The Centre for Medical Systems Biology (CMSB) is a joint activity of LUMC, Leiden University, Free University Medical Center, Free University Amsterdam, Erasmus MC Rotterdam and TNO Leiden. The aim is to apply innovative multidisciplinary genomics and bioinformatics approaches to improve diagnosis, therapy and prevention of common and rare diseases. Lygature (merger of Center for Translational Molecular Medicine (CTMM) and TI Pharma) is a not-for-profit organization based in the Netherlands. It drives the development of new medical solutions for patients by managing public-private partnerships involving academia, industry and society. Lygature brings together people in many different disciplines and organizations – to pioneer solutions in medical technology and pharmacotherapy, and to serve patients worldwide. The Netherlands Organisation for Applied Scientific Research (TNO) is a long standing collaboration partner for the LUMC. They work together on themes in several subject areas, sometimes in formalised bilateral cooperative alliances (centres), and they liaise to coordinate strategic processes. The LUMC works together with TNO Healthy Living in the following fields: child health, cardiovascular research, tissue remodelling and transgenesis. Work in the field of public health will be given further shape in the near future. The LNPT focusus focuses its multi-disciplinary expertise and patient-oriented research activities in personalised medicine on improvement of drug therapy. The LNPT is an open community and brings together researchers and clinicians currently active in the field of personalised therapeutics at the Leiden University Medical Center, the Leiden Academic Centre for Drug Research (Leiden University), and several companies of the Leiden Bio Science Park.